Steel Media has acquired underground Austrian games event ReVersed. The grassroots b2b and b2c festival will be managed and promoted by Steel Media Ltd - publisher of The Virtual Report and Pocket Gamer and organiser of the popular PG Connects conferences- and the event’s director joins Steel Media Ltd’s team. The four-day Big Indie Fest @ ReVersed will unite the best of the indie game developers from central and southern Europe with publishers, service providers, media and other games industry professionals. You can expect over 500 trade visitors to the show in 2018 with a strong focus on developers (over 70%); in addition there will be over 4,000 consumer visitors attending the final two days, offering game developers and publishers a chance to promote direct to, and hear from, players. The 2018 event will take place 5th-8th July in the incredible surroundings of Vienna’s MuseumsQuartier (formerly the imperial stables) at the very heart of the city, providing easy access for attendees both locally and from across Europe. Spread across two full halls, the Ovalhall and Arena21, and boasting fringe events in the surrounding spaces, it will be twice as large as last year’s ReVersed event. It’s thanks to monochrom, a Viennese art-technology-philosophy publishing collective, that the event finds its home in this glorious location. The ReVersed event has always been celebrated for its indie vibe, glorious location and mix of professionals and gamers. Into this mix, Steel Media Ltd brings a wide international reach and professional contacts all around the world, dedicated media coverage on its network of leading websites, expert knowledge of the games industry, many years’ experience of promoting successful conferences and a reputation for hosting world-class networking events. 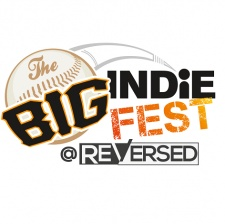 The Big Indie Fest @ ReVersed joins an impressive schedule of 15 other Big Indie branded events taking place this year, including Big Indie Pitches in Estonia (April), Los Angeles (June) and Shanghai (August), and the Big Indie Awards at G-Star in South Korea (November). There is a limited amount of space at the event for developers to showcase their projects free: sign up here, but hurry! The festival is also still accepting speaker submissions. For sponsorship and partnership enquiries, please contact Chris James at [email protected].